If you’ve been following the vaping market, you’d know that the United States seems to loathe the electronic cigarette market. In stark contrast, the UK is all about vaping and publicly encourages it through Public Health England, the health arm of the UK government. It’s really no surprise to see the US policy on vaping. For starters, the Big Tobacco lobby has an incredible amount of power within the US government. They essentially shape policy on all things related to tobacco products. And yes – some of you are surely saying, “well, e-cigarettes aren’t exactly smoking products.” You would be correct in that statement, scientifically speaking. However, the Big Tobacco lobby has so much power that they have essentially baited the FDA into labeling them as such. Furthermore, the United State’s economy was essentially supported by the tobacco crop. It was the driving revenue behind the US’s economic growth. So, getting rid of tobacco completely in America is not so simple, millions of deaths be damned! On the other hand, we see a type of socialist-style government of sorts. The NHS is in an immense amount of debt. Smoking related illnesses contribute to this debt to the tune of £2.7 billion. If you think that’s a lot, well then consider that the overall total cost on UK taxpayers from smoking related illnesses costs them £14 billion. The structure of the UK’s insurance is very different from how the US system works. This alone shows the truth. When we peel back the special interest groups and the money behind it, and look at it from a debt point of view, we clearly see the downsides of tobacco. The UK was very quick to realize this. Because of this, we now see not only the UK government but various non-biased/non-profit groups in the UK such as ASH UK and Cancer Research UK come out in favour of vaping. 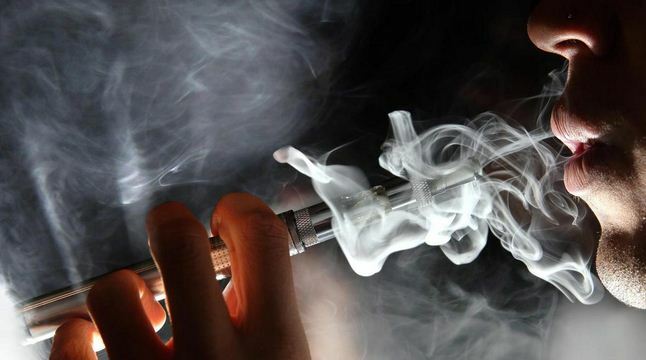 It’s not just that they come out in favour; they are actively telling the citizens of the UK to make the switch from tobacco to vaping, as it will be better for public health. It’s because of this that we see the electronic cigarette market in the UK thriving. Companies like V2Cigs are doing phenomenally well, while their US counterparts have suffered or have even been shut down (as was the case of Green Smoke by the Big Tobacco company who bought them out). Luckily, we have not followed the path of our southern neighbour. While America is known for many good things, their policy with regards to vaping is clearly warped. Canada has actually taken a logical approach to vaping – enforcing healthy regulations while enabling adults to still purchase products they like. America would be wise to take the same approach as their closest allies in this department. While the loss of tax revenue would hurt, millions of lives would be saved.